Incidentally, it's nigh-impossible to get a good shot of the towers (legally at least), and we were somewhat pressed for time, so we didn't make much of an attempt. 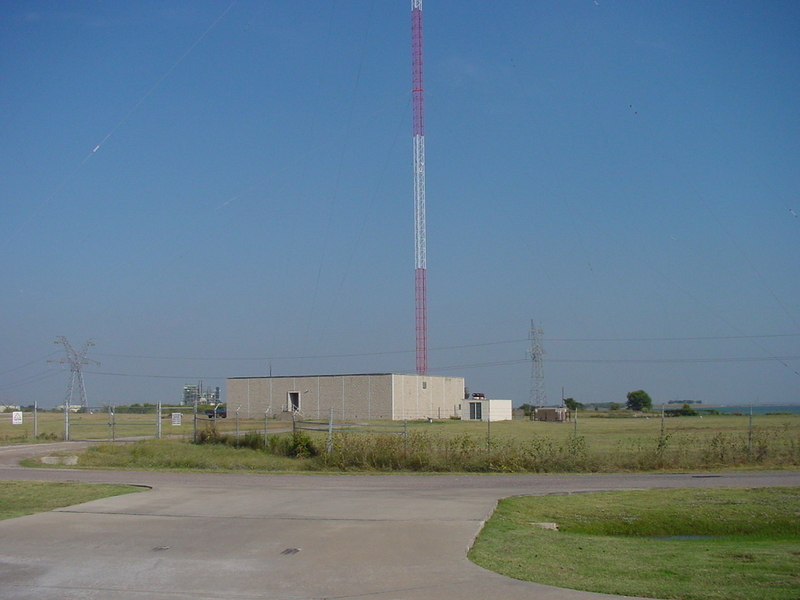 In any event, there are three tall, widely-spaced towers here, lined up right on the margin of one of the numerous artificial lakes in the Metroplex. There is a park nearby to which Scott was able to return later in his trip and get a decent angle on the towers; for me, it'll have to wait until NRC '03.